Dragunov dot net - Airsoft and Softair Dragunov rifles - pictures and reviews. 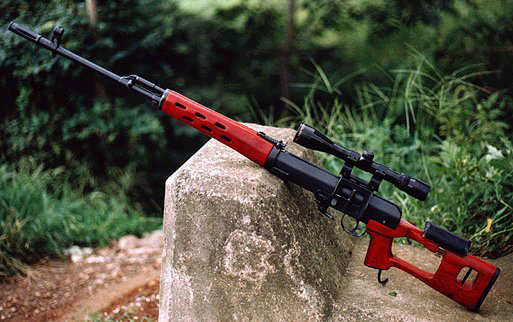 PDI gas-operated Japanese copy of the Dragunov SVD. These are airsoft guns which fire a gas-charged plastic BB. 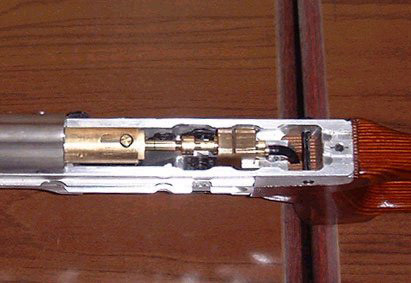 External gas supplied via a tube running from bottom of the pistol grip. If you're thinking, "Maybe I can buy cheap airsoft parts for my real Dragunov" do yourself a favor and resist that temptation. Most airsoft parts are made of plastic or non-milspec metal that may not be safe to use on a real firearm. 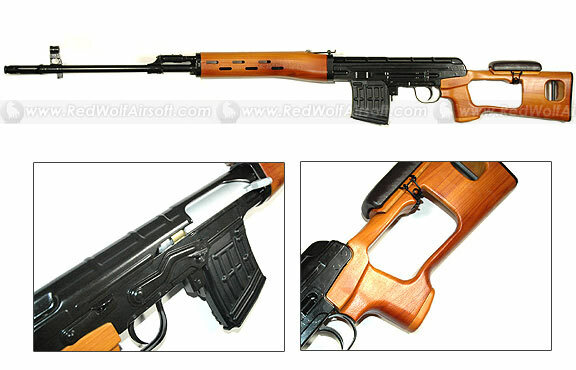 - Non-laminated wood hand-guard and stock. May be discontinued by the factory. 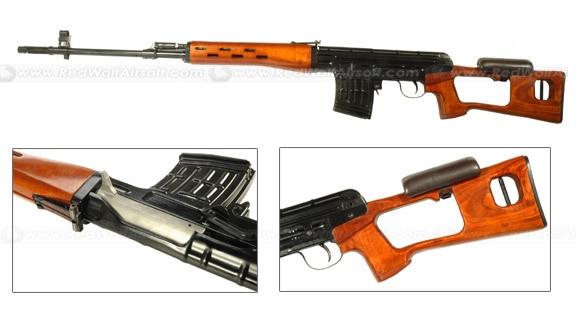 The G&P SVD Dragunov is an authentic replica of the original Russian-made gun, with a metal construction and real wood stock. The Dragunov feels great in the hands, and the weighty, solid construction screams quality and power. The capacity of the magazine is 30 rounds, and, using Top Gas, can propel the BB at 430fps. Length is 1220mm and the weight 3400g, the gun features gas blowback. These cost about twice the price of the King Arms model.